New Delhi: Drug firm Aurobindo Pharma has received final approval from the US health regulator to manufacture and market generic Isosulfan Blue injection in the American market. The company has received final approval from the US Food and Drug Administration (USFDA) to manufacture and market Isosulfan Blue injection 1 per cent (50 mg/5 mL) single-dose vials, Aurobindo Pharma said in a statement. The product is expected to be launched in the fourth quarter of the current fiscal, it added. 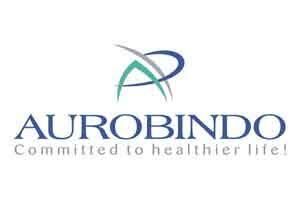 The company’s product is generic version of Covidien’s LymphazurinTM injection 1 per cent, Aurobindo Pharma said. “The approved product has an estimated market size of USD 57 million for the twelve months ending December 2015, according to IMS,” it added. Isosulfan Blue injection is used in a lymphography (medical imaging) procedure. Aurobindo Pharma has a total of 237 abbreviated new drug application (ANDA) approvals (205 final approvals including 10 from Aurolife Pharma LLC and 32 tentative approvals) from the USFDA, the company said.